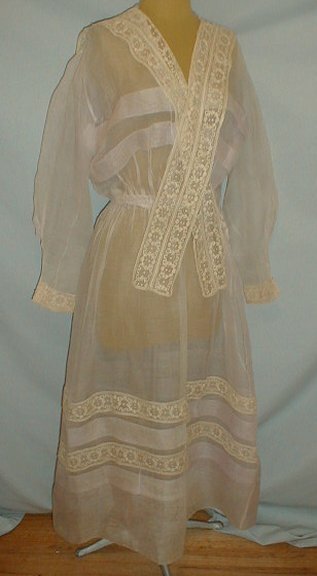 A pretty 1912-1915 light lilac organdy dress. The bodice has a sailor style collar that is trimmed with ecru lace. 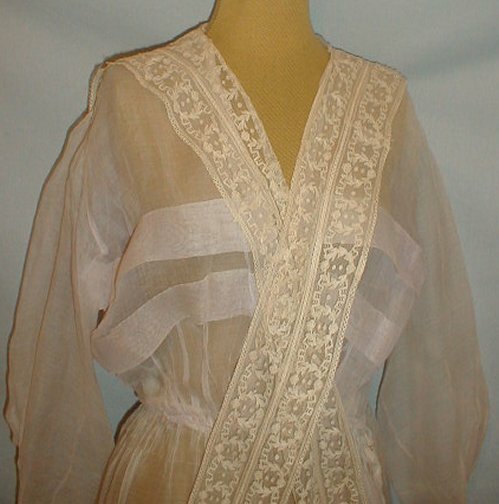 The collar has long lace lappets in the front. 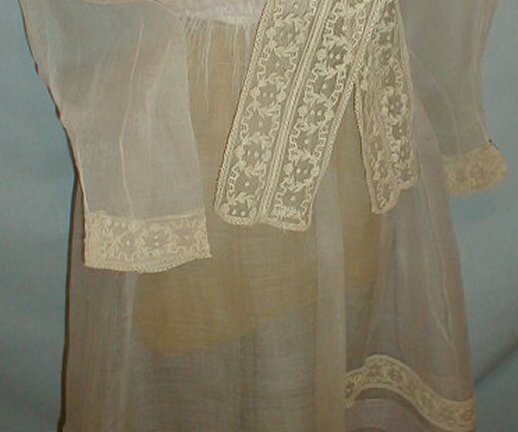 The sleeve cuffs are trimmed with lace. 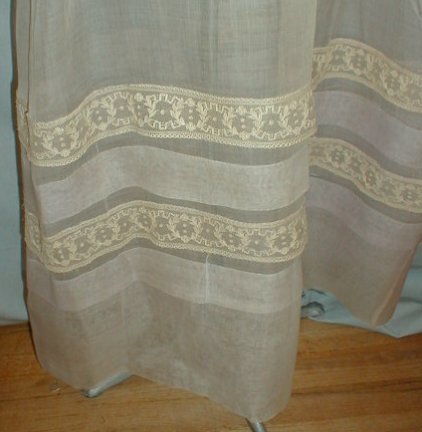 The skirt has rows of lace and pin tucking. The dress has a front snap closure and is unlined. It is in good condition. 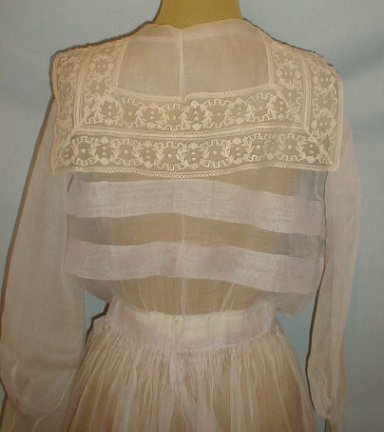 There is some color loss on the sleeves, skirt hemline and on the back collar and shoulders. There is a repair mend on the back collar that shows as a seam line. Bust 39 Waist 27 Skirt length 36. Oh! I wish we could see the true color of this beauty.